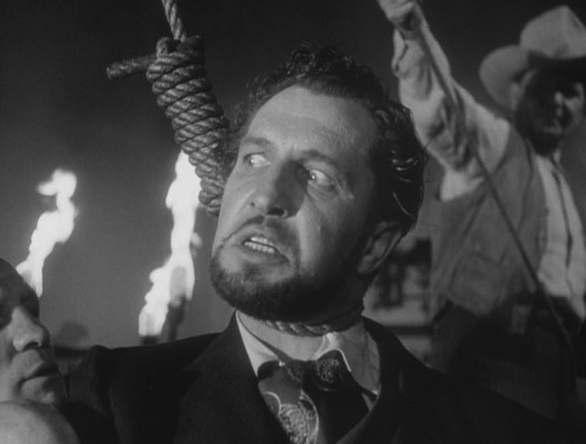 One of my very favorite of Vincent Price's non-horror roles. 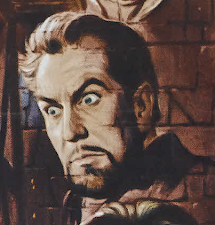 Vincent definitely still plays the villain, however, and is wonderfully ruthless in it. 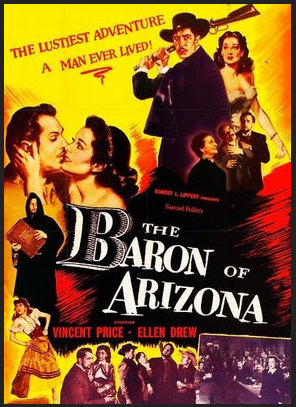 The Baron of Arizona was made in 1950, written and directed by Samuel Fuller. It's based on a real-life historical figure, James Reavis, who almost swindled the United States out of the territory of Arizona, providing forged land documents indicating his wife was heir to this territory. Vincent really flexes his villain muscles in this one - he is one corrupt, conniving and devious character. If you haven't seen this one, you should definitely track it down. 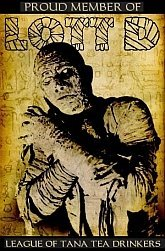 It's available on dvd and Turner Classic Movies shows it from time to time as well. Definitely worth watching.